Vorik begins to suffer the onset of pon farr and decides on B'Elanna as a mate. An attempt to initiate mating causes an unexpected effect: B'Elanna begins to suffer it, too. 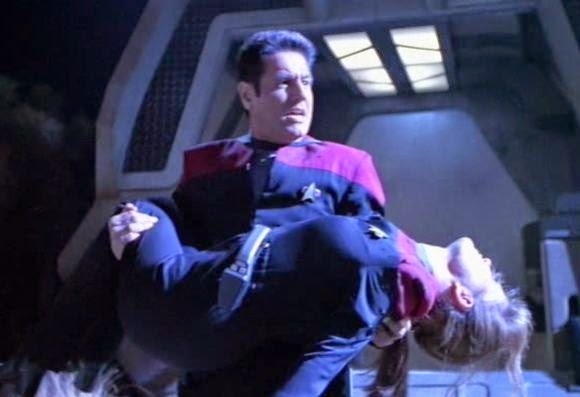 After a shuttle accident, Captain Janeway finds herself locked into a weird set of scenarios in which she keeps dying. Things get weirder when her deceased father shows up to inform her that she is, in fact, dead. 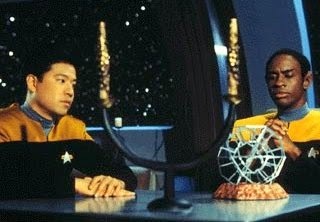 Tuvok and Kim find themselves in a strange love triangle with a holodeck character. Harry hopes that a spirited game of Vulcan Jenga will take his mind off of his inability to get laid. Neelix worries that his usefulness to the Voyager crew is coming to an end, and falls in with an untrustworthy old friend in his attempts to remedy this. Neelix avers that it's a long way down to the bottom of the warp core. B'Elanna's like: Oh no you didn't. 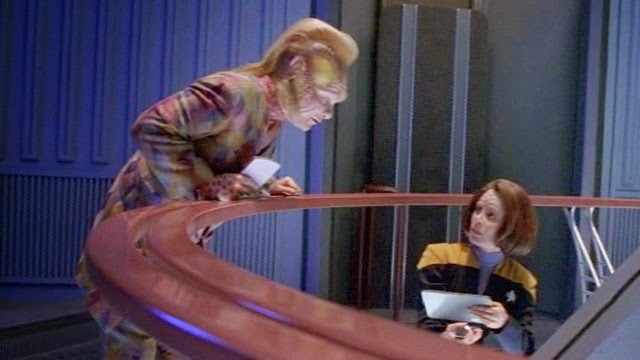 Janeway and Neelix return to Voyager to find it under siege from large alien organisms. Kate Mulgrew has her George Takei Moment. Nailed it!